This poor little girl has just been rescued from a pound due to be PTS, can you believe it? 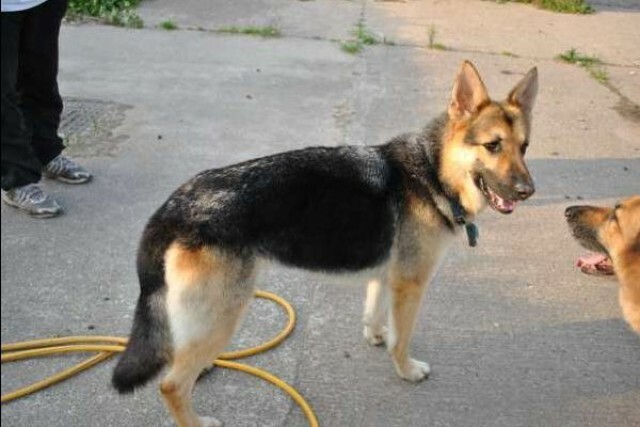 She is approx 12 months old, no history of her seasons, as yet not vacs or microchipped but will be done in due course. She is incredibly thin and in poor condition but she has a fantastic temp and loves everyone, good with the 6 other sheps she is with also the JRT, fine with resident cats and chickens. This super little girl now needs life to begin....are you the person to make this happen? Abbie is having a make over on Thursday so brace yourself people to be wowed!! Abbie has been found to be good with the horses to and from the field. Does try to bond very quickly so new owners need to be aware of this.